O’Connell Drainage Plows is pleased to supply our customers with multiple options for GPS and Laser grade control. Ag Leader Intellislope™ is an accurate Ag Grade GPS option for controlling either slope or elevation. The Ag Leader InCommand 1200 screen is Ag Leader’s top of the line control system that can operate all of Ag Leader’s technology on your farm including Intellislope™. AMW Machine Control is an extremely accurate Construction Grade GPS option for controlling slope and/or elevation. The AMW Machine Control system can be used to control construction equipment, to the precision needed for DOT Roads and Ditches. The AMW Pipe Program is a construction grade tile software used in self-propelled tile plows and trenchers. If you have RTK signal, both AMW Machine Control and Ag Leader products can utilize your existing RTK Globes. AMW Machine Control can control slope and elevation at the same time allowing for more precise tile placement than controlling just slope or elevation. The AMW Pipe program is used in self-propelled trenchers, tile plows, and cable plows. O’Connell is proud to offer Construction Grade GPS Globes from CHC Navigation. 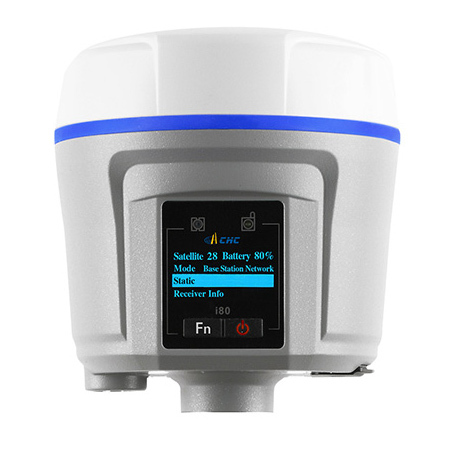 CHC Globes can be used wirelessly via WiFi or Bluetooth with compatible systems.